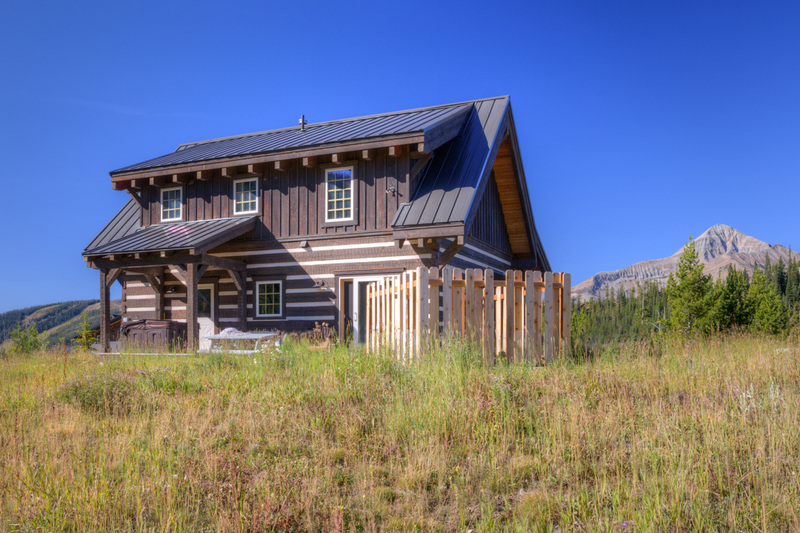 Escape to a private mountain haven just minutes from shops, restaurants, ski slopes and trails. 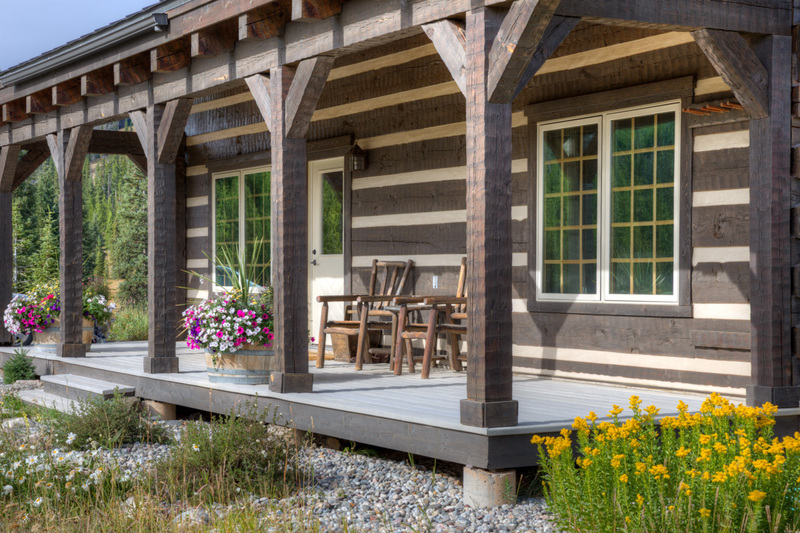 Camp Arrowhead Cabin is a custom log cabin nestled on 30 acres of pristine forest surrounded by towering pines and natural wildflowers with impressive views of Lone Peak Mountain and Beehive Basin right in your backyard. 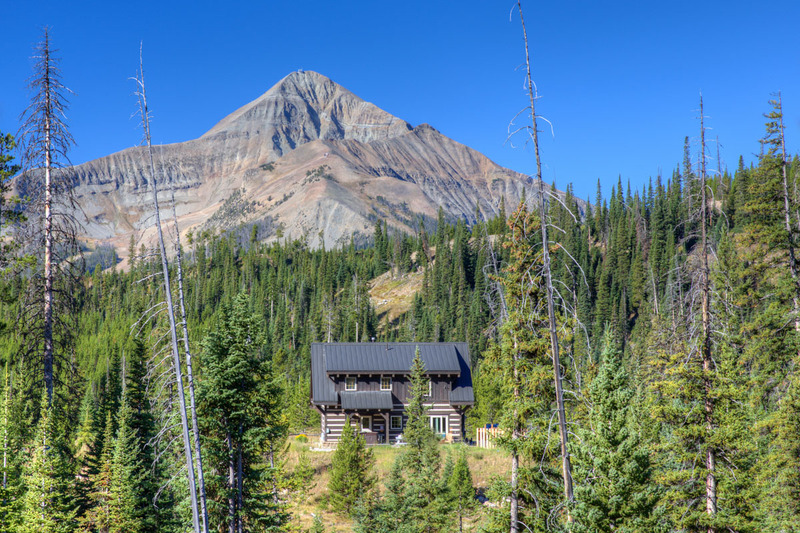 Step out of your front door to access the hiking, snowshoeing, backcountry skiing, and wildlife viewing in the Big Sky area. This 3-bedroom, 3-bath home features custom furniture, natural timbers, and tasteful Western decor, creating an inviting atmosphere with plenty of space to gather together and relax after a day of playing outside. An open floorplan ties together the living, kitchen and dining area, with sliding glass doors and picture windows allowing in lots of natural light. The living room features a plush, full-length sofa and hardwood coffee table framing a rock, gas-powered fireplace and flat-screen TV. The fully equipped kitchen provides additional seating with two hardwood stools at at a high-top breakfast bar, while the dining area features a circular dining table that comfortably seats up to six. Take advantage of the BBQ grill outside to prepare gourmet home-cooked meals. Between three bedrooms, each with an en-suite bath, Camp Arrowhead Cabin comfortably accommodates up to 7 guests. The master suite, located on the upper level, features a queen-size bed with a rustic log frame, vaulted ceilings, and hardwood furniture. The second bedroom, located on the main level, features two twin beds and Satellite TV. The third bedroom, located on the upper level, has a twin over double bunk bed. 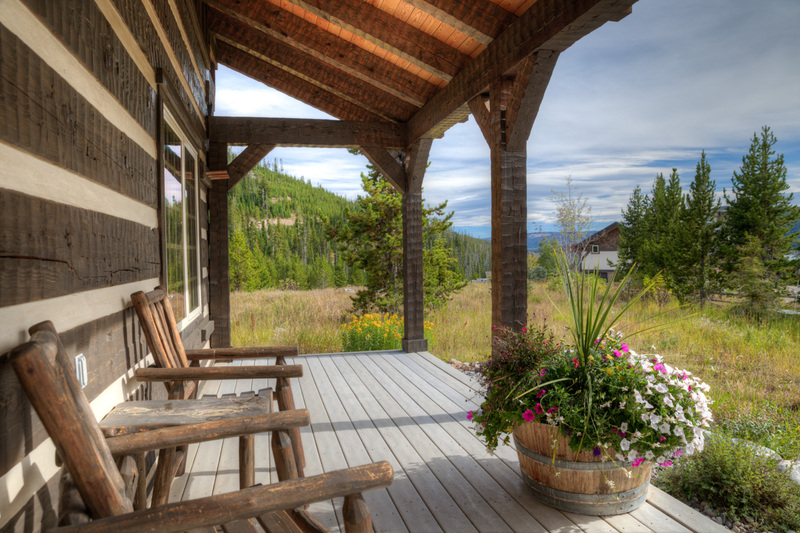 Outside, a private hot tub located on the private back deck, provides the perfect way to unwind after a day on the slopes or trails, with even more outdoor space to relax on the covered front porch. 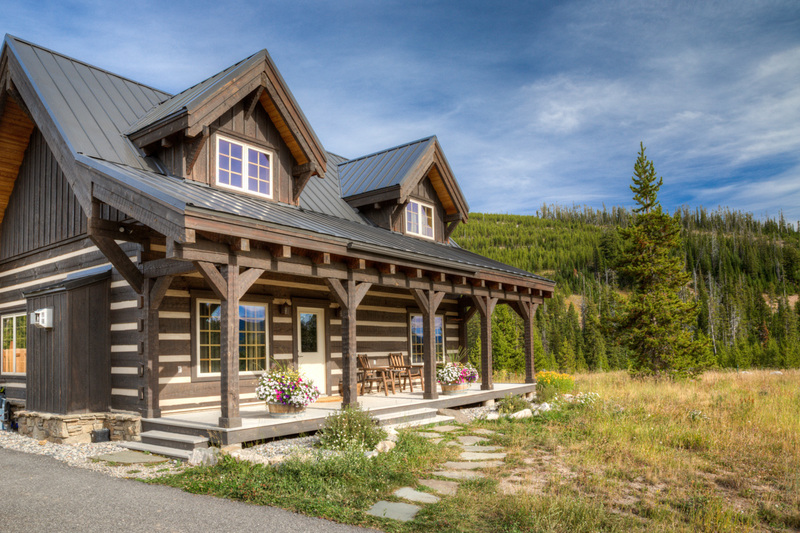 From your location, just 5 minutes from the Big Sky Mountain Village Base Area and 15 minutes from the Big Sky Town Center, you’ll have easy access to alpine and Nordic skiing, hiking and biking trails, fishing, rafting and even shops and restaurants. Yellowstone National Park is just under an hour away. 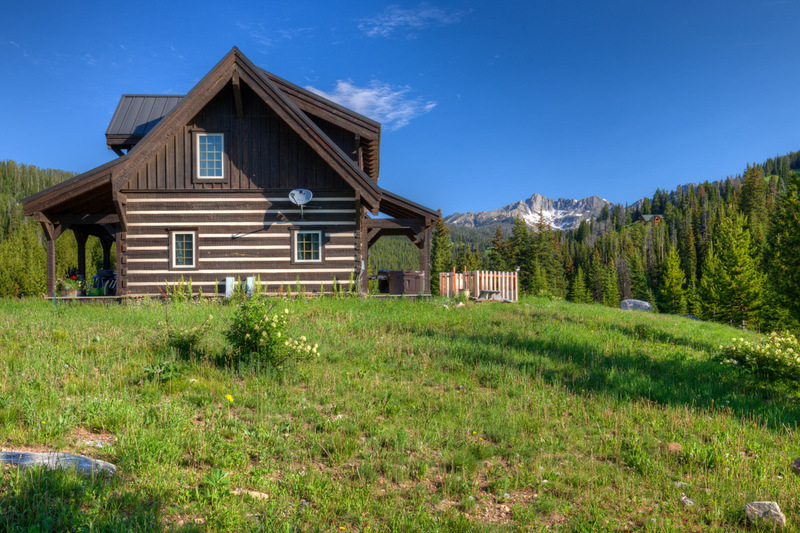 With driveway parking for two cars, you can easily explore Big Sky’s many year-round adventures.